Dr. Klement and her team have provided comprehensive dental treatment in northeast Florida for over 20 years. You benefit by receiving care from an experienced, professional team. Our team participates in continuing education programs to assure that you have access to the latest dental techniques and materials. Klement's special areas of interest are cosmetic, implant, and reconstructive dentistry. Her level of experience coupled with on-going training enables her to remain at the forefront of advancements in dental care. Dr. Klement is actively involved in many aspects of her profession. She is past president of the Clay County Dental Society and the Northeast District Dental Association. She served as a member of the Florida Board of Dentistry from December 4, 2001 to March 9, 2010 and was Chair of the Board for 2008-2009. She is a Fellow of the American College of Dentists and member of the Pierre Fauchard Honorary Dental Academy. She is an active member of the Academy of Osseointegration and the River City Dental Study Club. the Northeast District Dental Association, the Jacksonville Dental Society, and the Clay County Dental Society. In 1999, Dr. Klement was a recipient of YWCA Jacksonville Celebration of Leadership with a Tribute to Women award. 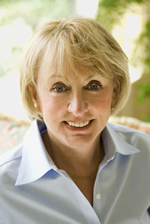 Dr. Klement received her dental degree from the Medical College of Georgia School of Dentistry in 1981. She is licensed to practice dentistry in Florida and Georgia. Tammy is our Lead Dental Assistant. You most likely will see her smiling face when you enter our office. She is here to answer any questions about the treatment that has been recommended for you and to help you set up your appointments for this treatment. A member of our team for over five years, most of our patients are familiar with Tammy and her friendly, outgoing manner. She is an Expanded Duties Dental Assistant and has assisted Dr. Klement in direct care for our patients much of the time she has been with us. Tammy recently completed her Bachelors Degree in Supervision and Management from FSCJ. This prepared her for an administrative position. With the combined knowledge of clinical dentistry and the application of her studies, she is an exceptional asset to our practice. She loves to spend time with her family, Walking, spending time at the beach, and motorcycles are among her special interests. Our Practice Manager has been a highly valued member of our team for over 21 years. Our patients know they can count upon Linda to provide them with knowledgeable, reliable information. With an extensive background in the medical insurance arena, she stays abreast of the current information related to our patients' dental plans. loyalty, and integrity are qualities that we all admire in Linda.